Thank you En Sakaba at Orchard Central for hosting us last week. 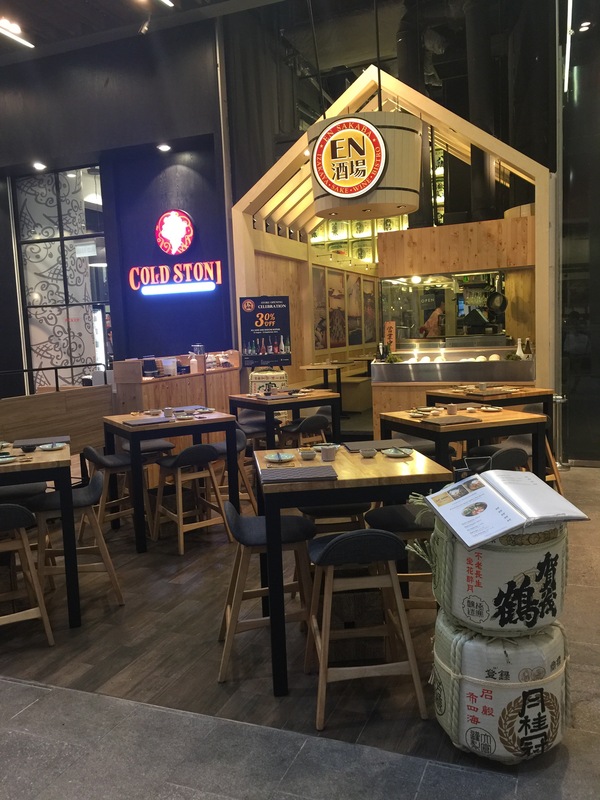 En Sakaba opened on 15 June 2016 at Orchard Central (#01-16) and 28 July 2016 at JEM (#01-04). Sakaba means “bar” in Japanese. The new concept emulate En’s motto to be the gathering place where people meet and bond through gourmet food in perfect harmony. Its aim is to create a cosmopolitan space where patrons can enjoy great food and tipple in a convivial, relaxed atmosphere. En Sakaba blur the lines between tachinomiya (standing bar) and izakaya (bar with seats), which is now popular among trendy bar hoppers in Japan’s major cities. 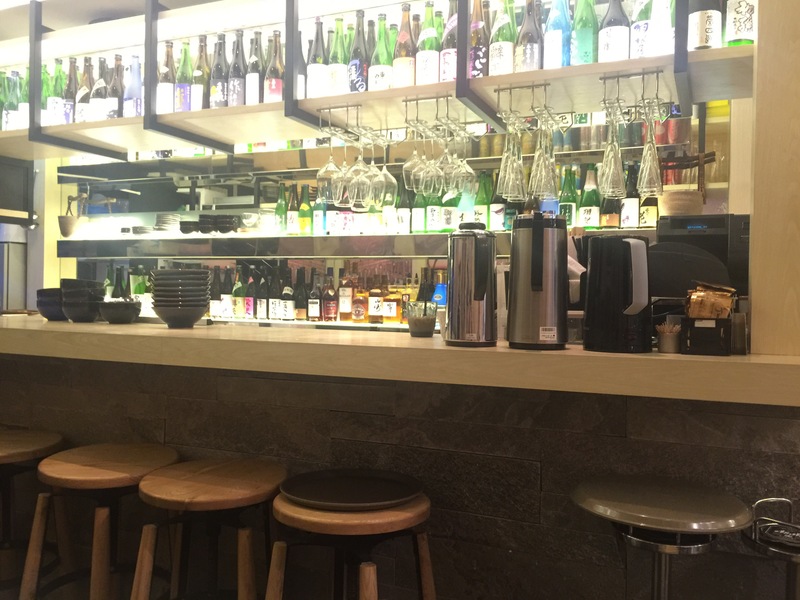 Set in a chic but casual bistro bar setting, En Sakaba will focus on offering a variety of Japanese influenced tapas that are best paired with sake and beer. 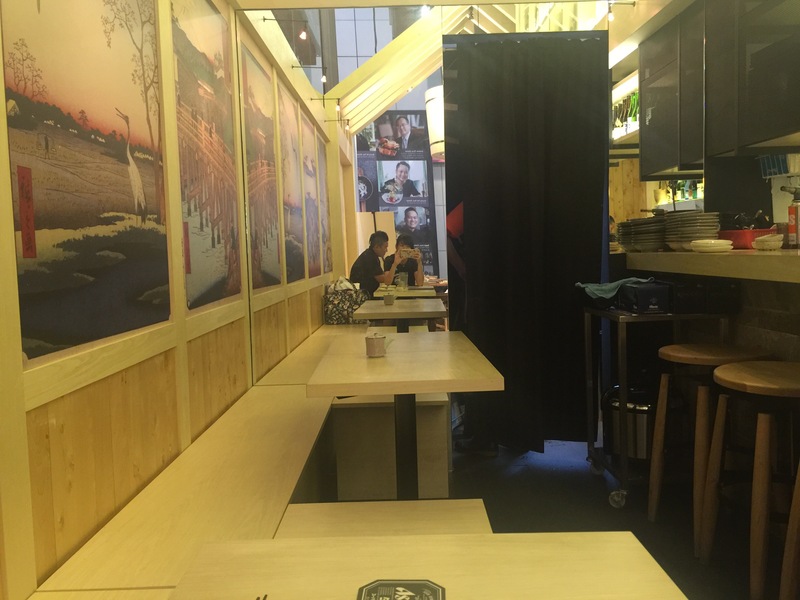 Nestled in between Cold Stone and Levi’s, it is a small cosy place in Orchard Central’s Level 1. It is fully packed at dinner time though so remember to call to make your reservations. They have a grill Chef who does all the grilling at the shop such that you can see your orders being cooked. This was the highlight for my kids as we say right in front of the grilling corner! We got to try a few recommended dishes and they were all mouth watering delicious and cooked with effort for each individual dish! 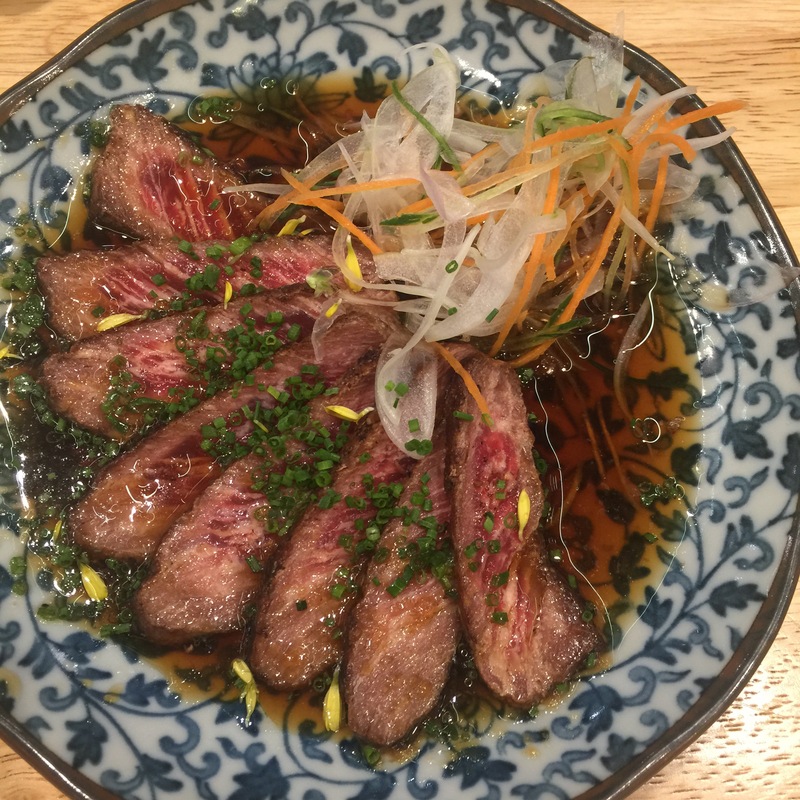 Beef Truffle Carpaccio (Thinly sliced sirloin beef drizzled with truffle citrus soy sauce) was a yummy start. The beef was medium rare and the truffle taste was strong. A small salad came with it and my hubby loved the sauce so much he used it as a salad dressing. 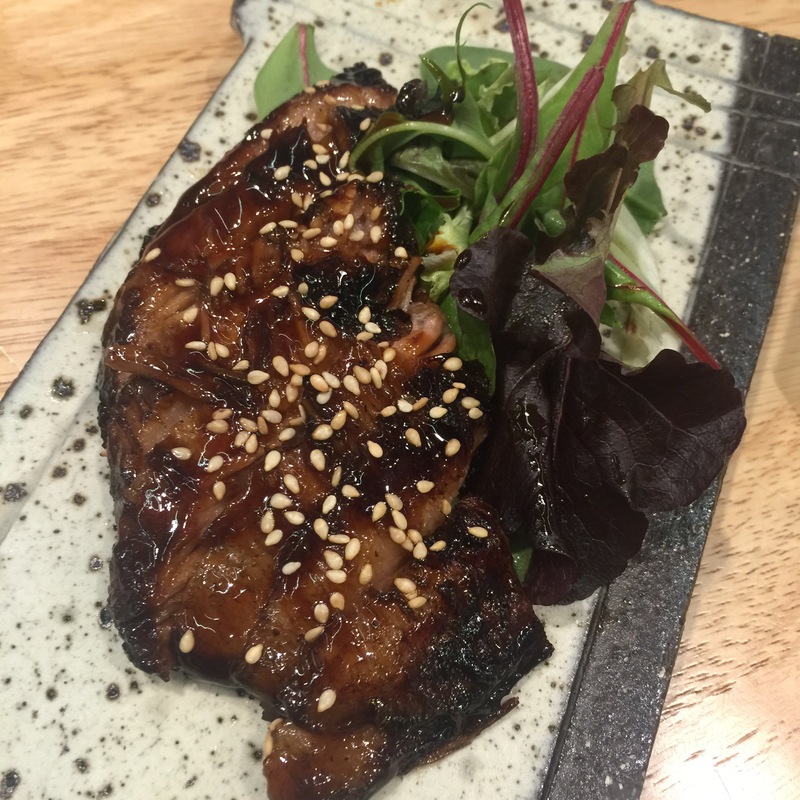 Kurobuta Niku No Hoho (Grilled black pork cheek with wafu sauce) was my kids’ Favourite. We tasted a bit but they finished most of it. The meat was so tender that my 18month old who didn’t have any molars yet could easily chew it. 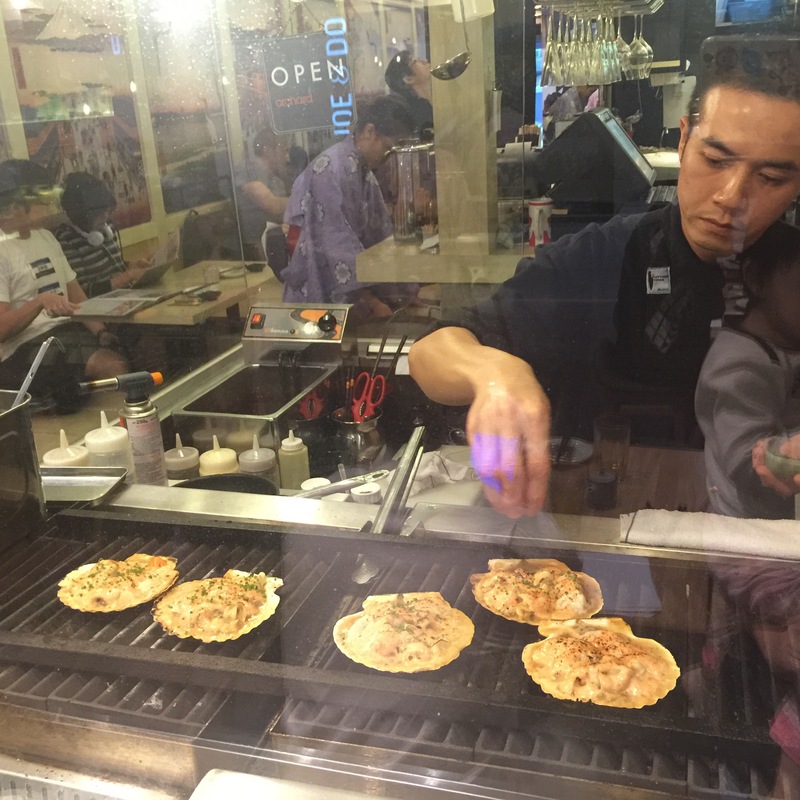 Zuwai Kani Miso Kourayaki (Crabmeat with roe and gut grilled in the shell) is not suitable for me as it has a raw quail’s egg in it and is grilled with Sakae. This fact delighted the hubby a lot and he savoured the entire thing by himself and I can only drool watching him. Lucky for me I heard the next dish has relatively similar taste to it. Jumbo Hotate Yaki with Mentaiko Cheese (grilled jumbo scallop with spicy cod roe cheese topping) is really not spicy at all. Not even pepper spicy. 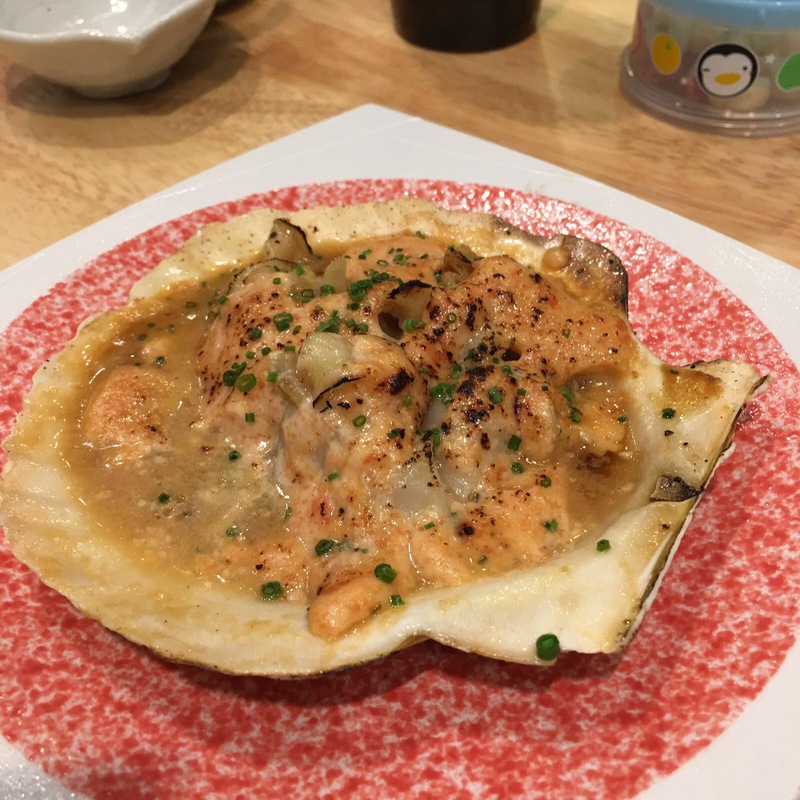 The scallop is very soft and they pre cut it so it is bite sized and easily removed to be eaten. Like the previous dish, you will end up drinking all the remaining gravy from the shell itself. 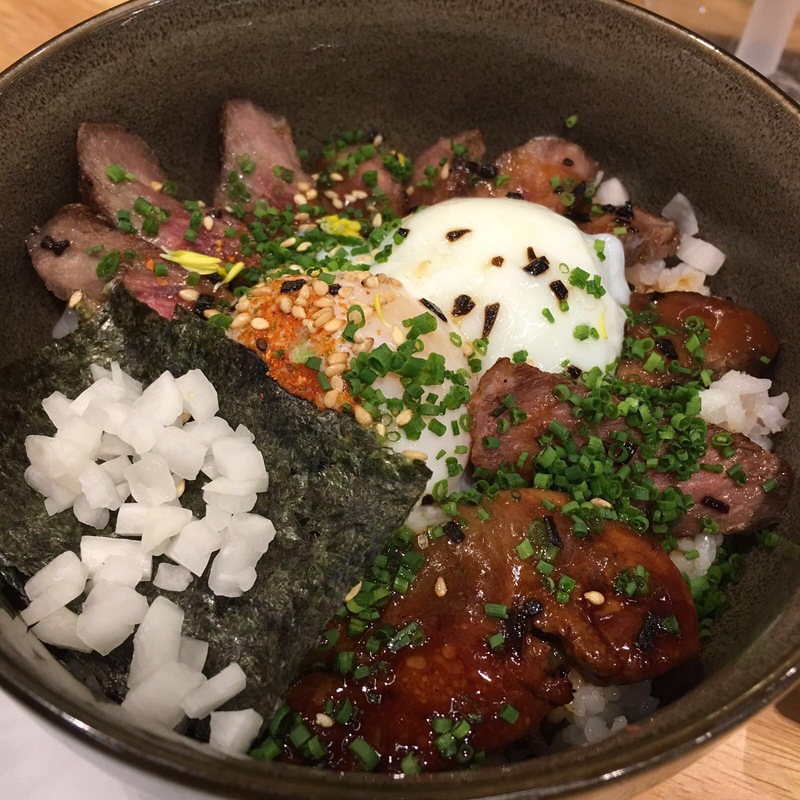 Kurobuta Niku No Hoho Don (grilled braised black pork cheek on rice) is a very suitable dish for kids if you are bringing them. It had a half cooked egg at the top though. So if it’s for the kids, you can let them know to fully cook it or not include it at all. 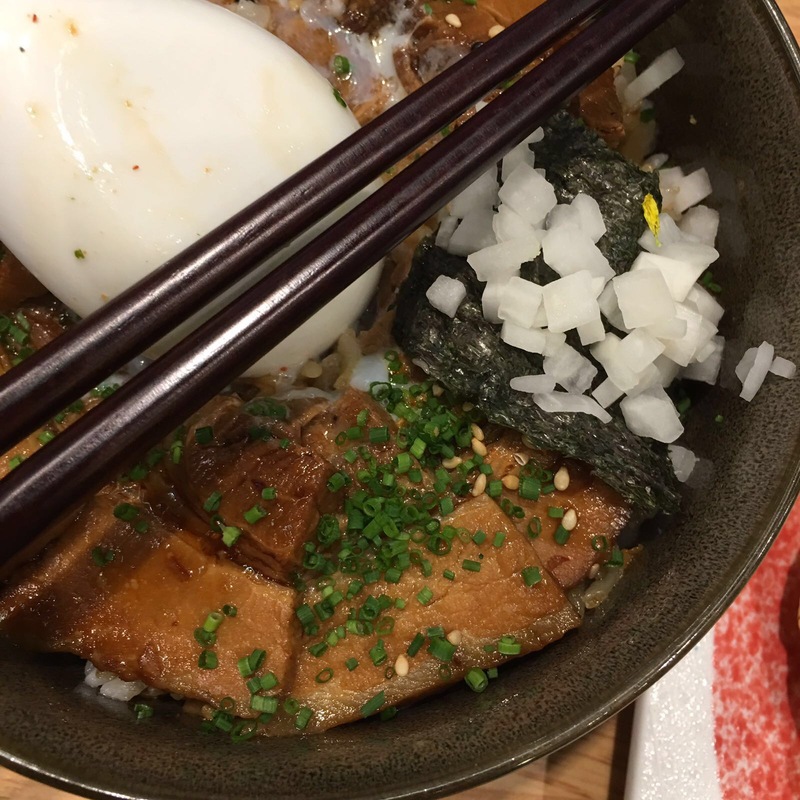 Foie Gras Yakiniku Onsen Tamago Don (premium beef tataki and foie gras with Onsen egg on rice). The foie gras was very tasty as usual. And went well with the entire combination of beef and rice, Jap style. 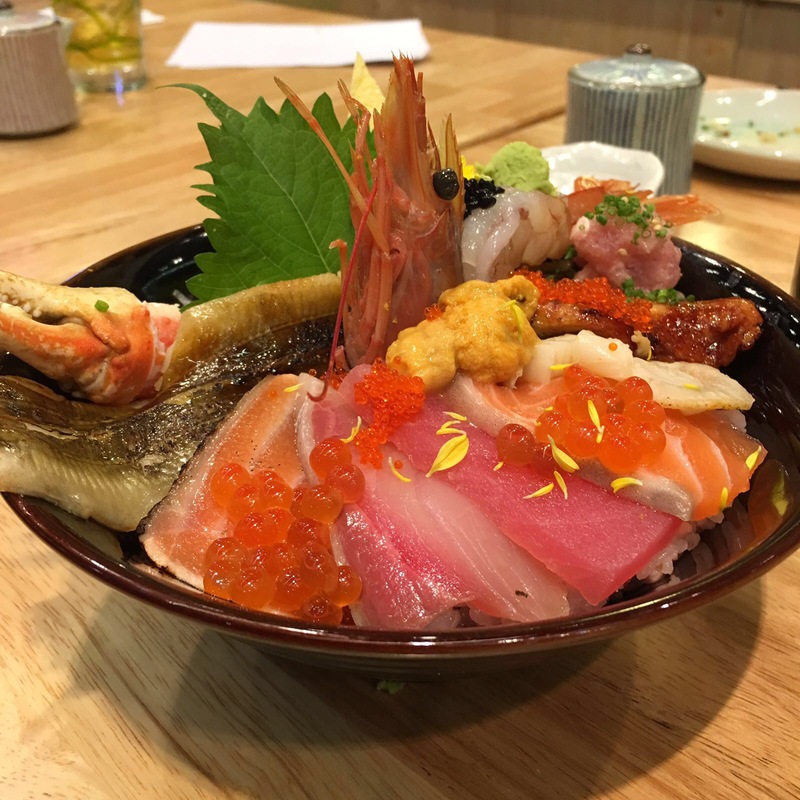 Finally we had En Kaisen Chirashi (15 kinds of Chef selection sashimi on En’s pink sushi rice: Zuwai Kani, Uni, caviar, negitoro, ikura, aka ebi, Hotate, unagi, anago, hamachi, Maguro, aburi salmon, salmon, tobiko, Tamago Yaki). 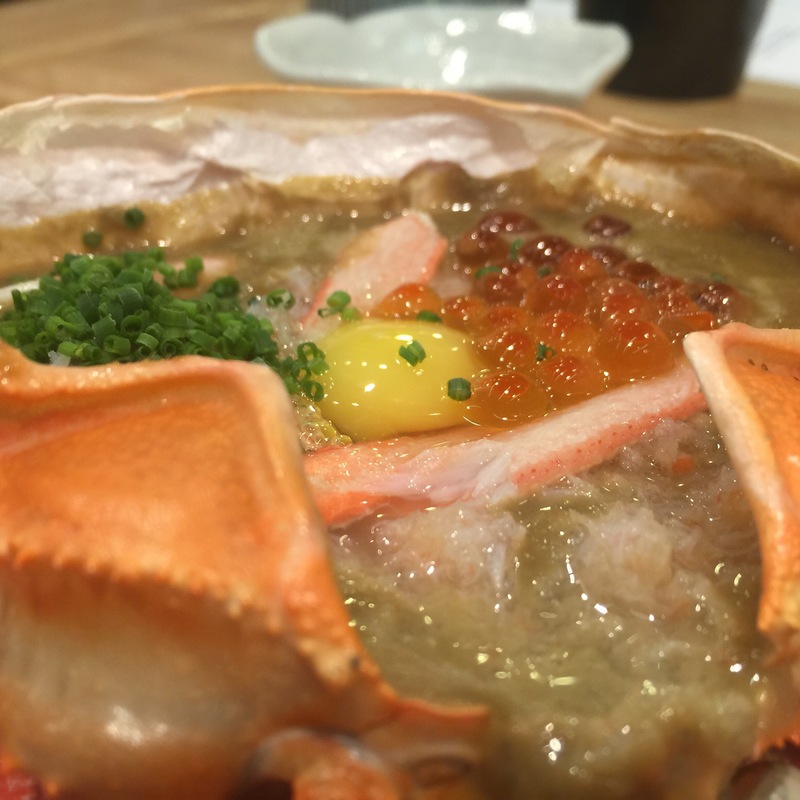 This dish is really for sashimi lovers where you get the all in one! As I can’t eat this as well, my hubs (who does not usually eat sashimi) finished the entire thing! We enjoyed our meal at En Sakaba. And hope you will too! They also have an outlet at JEM which has more seating space.